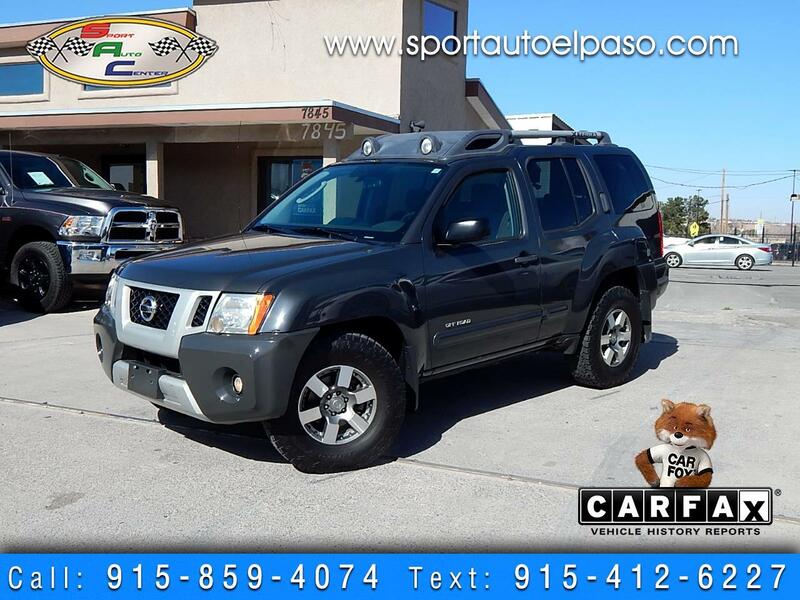 WOW HOT 2010 NISSAN XTERRA 4WD!!! OFFROAD EDITION!!! 4.0L V6!!! OFFORAD PKG!!! SPORT CLOTH INTERIOR!!! ROCKFORD FOSGATE SYSTEM!!! ROOF RACK W/OFFROAD LAMPS!!!! SPECIAL EDITION WHEELS!!!! 4WD!!! POWER WINDOWS!!! POWER LOCKS!!! AM FM CD!!!! AUX INPUT!!!! LOTS OF CARGO SPACE!!!! COME CHECK THIS ONE OF A KIND AND RARE PACKAGE EVER FOR THE XTERRA!!!! PRICED TO SELL SPEND YOUR MONEY WISELY LET US HELP YOU FIND YOUR NEXT CAR!!!! WE ACCEPT TRADES!!!! FIRST TIME BUYERS PROGRAM AVAILABLE CALL US FOR DETAILS!!!! USAA CERTIFIED DEALER!!!!! MANY LENDERS READY TO GET YOU APPROVED!! !